The first painful shock caused by the yet another terror attack in France, this time in Nice, has gone. Now it is time to think about the reasons for this and other similar crimes in Europe. And on how to prevent them. 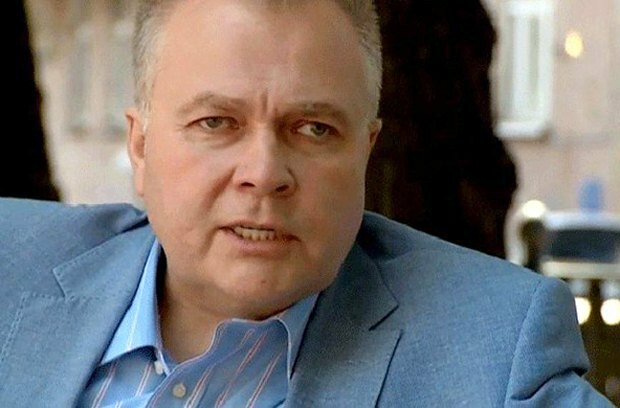 The reasons and tendencies of European terror acts are scrutinized by Aleksandr Sytin, PhD in History, a former employee of the uncharted Russian Institute of Strategic Research, RISI (which is still directly subordinate to the Russian presidential administration and prepares analytical reports for the Kremlin), from which he was dismissed in October 2014 "for ideological and political motives". That is after he condemned Crimea's annexation and the beginning of the war against Ukraine. Yes, France as well as the whole of Europe was relaxed. People got used to breathing freely, walking in the streets safely, feeling free and protected. People coming to Europe for three to five days for leisure or business are especially aware of this contrast compared with the "black hole" in which people in Russia are doomed to live. But all Europeans (at least those who did not have to experience the Soviet occupation in 1945-91) have no idea at all of what they are dealing with and what they are talking about when they say the word Russia. For example, people in Russia do not understand how French people can have such a carefree and unrestricted life. 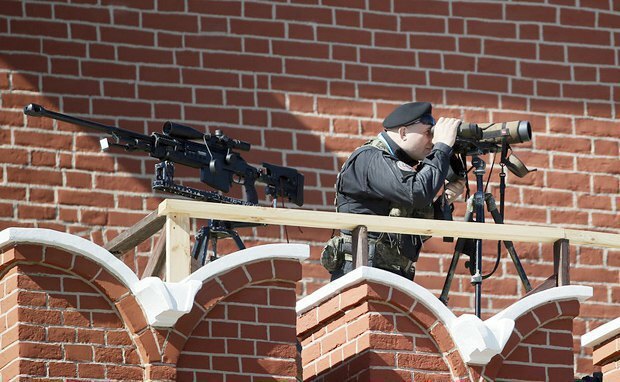 Russians, who got used to living in the world controlled in line with the laws of special services, are not capable of understanding why there are no concrete blocks or metal detectors, no police cordons with dogs, no snipers "just in case" and there are no buses and lorries packed with riot police. Even district police stations in Moscow are better protected and reinforced than French military and strategic facilities! For people in Russia it is impossible to imagine that outsiders, least to say armed people, who have not taken care well in advance to order a pass mentioning their passport data, purpose of their visit and the contacts of an inviting person, could enter the office of a magazine and shoot down nearly the whole editorial team. One more distinctive feature of Europeans is that they can pronounce a person/group/state guilty only if all the circumstances have been established, if all the evidence and accounts have been collected and a court ruling has been issued based on them. European legal conscience and mentality do not allow making conclusions based on legally "unsubstantiated" claims who could benefit from one or another incident, or who reaps or will reap some political dividends and how, let alone using the phrases "everyone knows" and "everyone understands" as proof. But the problem is that the European society does not understand that in the current situation it can no longer have a carefree life either on the local level during festivities and events, or in international relations – otherwise it will time and time again face terrorism, uncontrolled migration and, after all, see the basics of their life, which are the basis, outcome and result of the entire European historical civilizational development, undermined. We should focus now on the international aspect in particular. The reasons for this relaxation and atrophy of will, which I have mentioned at the beginning, have to do with reaction to the end of the Soviet Union. Back then, in 1989-91, everyone, including the author of these lines, believed that the Soviet Union as "the empire of evil" was now a thing of the past just like its predecessor, the Russian empire. We believed that Russia would finally join the community of civilized countries and build relations with its neighbours according to accepted rules. Alas! Russia's ruling class formed out of representatives of uniformed agencies (former KGB) took it as just a temporary weakening of Russian state positions and once the material opportunity arrived (high prices of oil plus the financial and economic crisis in 2008-10) launched a revanche attack. They used the means and methods of the Soviet legacy, above all their sabotage and terrorism component. 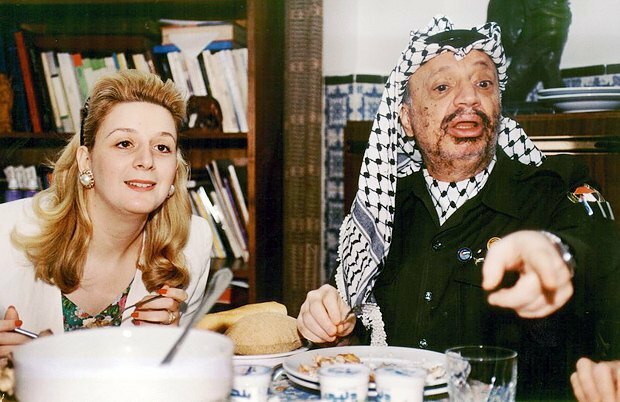 It should always be remembered that the USSR in fact created and then fully maintained and directed the Palestine Liberation Organization while the wife of its leader Yasser Arafat was from the Soviet Union. It should be remembered that all the left-wing terror organizations in Europe of the age of the collapse of the "world Communist movement" existed at the expense of the Soviet Union. That it was the USSR which used Cuban soldiers under the command of specialists from the Main Intelligence Department to carry out sabotage operations in Angola and Mozambique, supported North Korea, Vietnam and undermined stability in Afghanistan, with the consequences of which the world has been dealing up to now. 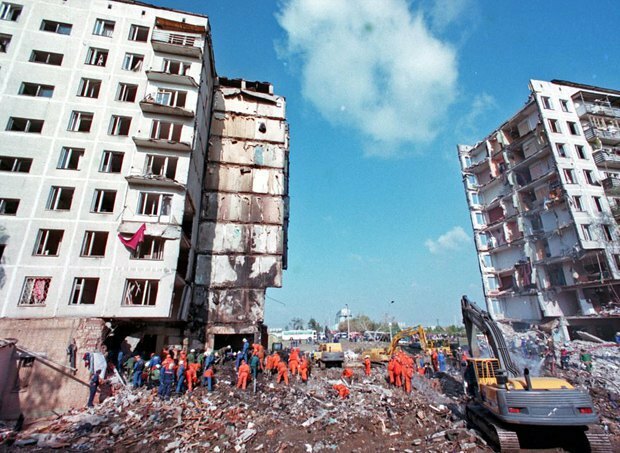 The policy of provocation, sabotage and terror became fully embedded in the Chechen story. It would be naïve to think that such traditions and skills would go away. There is a huge number of Chechens in Europe and Middle East now. They have no problem establishing contacts with both the militants and command of Islamic State and the radical Muslim underground, recruiting terrorists from among French citizens of Arab origin. Can we know for sure who out of these Chechens are true oppositionists and enemies of Kadyrov/Putin and who is there on a mission of sabotage? In the previous article, I mentioned that the majority of Iraqi and Libyan officers, who joined Islamic State, received their military education in Russia/the Soviet Union. Russia has experienced a series of terror acts which, as if with a wave of a magic wand, suddenly stopped. What is it, the impeccable work of the FSB [Russian Federal Security Service]? No, it is simply because the authorities now benefit from portraying Russia as a fort of bulwark of silence and security from terrorists. If need be, there will be more roaring explosions. Even when terror acts were still happening in Russia, none of them affected St Petersburg, the hometown of almost the entire Russian elite. Region-specific fraternity and loyalty to their "small motherland" were always seen as a special kind of dignity among both the Russian military and criminals. In Russia, post-Soviet republics and even in Eastern Europe, everyone clearly understands that Litvinenko's allegations were legitimate. Whereas people in Western Europe think it is none of their business. But millions of refugees who rushed to Europe in search of rescue from carpet bombings by the Russian Aerospace Forces which used internationally prohibited bombs – is it the West's business?! Having tested its methods on Russian territory (Chechnya, terror acts in Russia), Russia has used them in the course of the hybrid war against Ukraine. There is no doubt that similar methods will be applied in Syria where militants could be used against any government in the region to destabilize the situation and raise global oil prices. 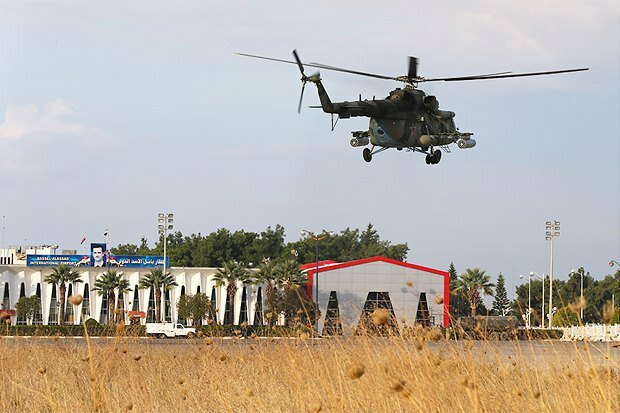 The incursion in Syria opened limitless opportunities to recruit militants both among the refugees and Muslim citizens of European countries. Russia does not hide its ambition to restore the imperial might of the Soviet Union and make sure that post-Soviet space becomes its permanent sphere of influence. Understanding that it cannot compete with the EU either politically or economically, it dreams of its collapse and is ready to contribute by any means. Fully associating the EU with NATO, the Kremlin considers driving a wedge between European states the issue of its national security. Despite being in the deepest economic crisis, Moscow finances the French right-wing extremists headed by Marine Le Pen just like the Soviet Union financed Communist parties all around the world, which would otherwise not hold a week on their own. Any aggravation of relations between the countries, parties, nations, public groups and confessions which undermines the basics of European – and French in particular – society certainly benefits Moscow. Of course, it is all made to look as a blow by the global Islamic terrorism but the geography and timeline of terror attacks strangely matches the "political schedule" of the Kremlin regime. 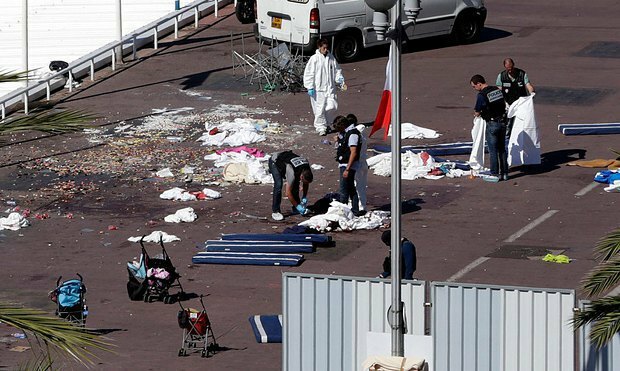 Why did the Nice terror act happen on 14 July? Because the NATO summit has just finished in Warsaw where some highly unpleasant decisions for Russia were taken and because just recently the NATO-Russia talks brought no results. Why France? Because today it is one of the two main states of the EU whose significance has just increased because of the Brexit. Also, France is a party to the Normandy talks on the implementation of the Minsk agreements, which is of critical importance to the Kremlin. Finally, and this is the most important, Russia does not hide its striving to impose cooperation in fighting global terrorism on Western countries, preferably not on all at once but one by one. As if the Kremlin is saying: unless you accept our rules of the game and do what Russia wants you to do in this fight, you are going to see more terror acts. For the ruling regime, this cooperation is an attempt to leave international isolation, break through the sanctions and receive a carte blanche for any action with regard to Ukraine and Eastern Europe. Without having even a trifle of its potential, Russia wants to replace the USA in Europe. Vladimir Putin also repeatedly mentioned the need for "cooperation". Therefore the recent terror acts in Europe are the way of coercing into this cooperation with the Kremlin which is unrestrained in its imperial ambitions. Now one should anticipate a terror act in Brussels or Germany again. Are there any mass events planned by the way? Those who consider cooperating or even reaching a compromise with Russia should remember that cooperation with the Soviet Union in World War II brought about the Cold War and the half-century occupation of a half of Europe. I am afraid that, considering Russia's current ambitions, it will not stop at a half of Europe.